I’ve finally finished crocheting all the granny squares, sewing in all the ends and sewing together the squares of my latest blanket. 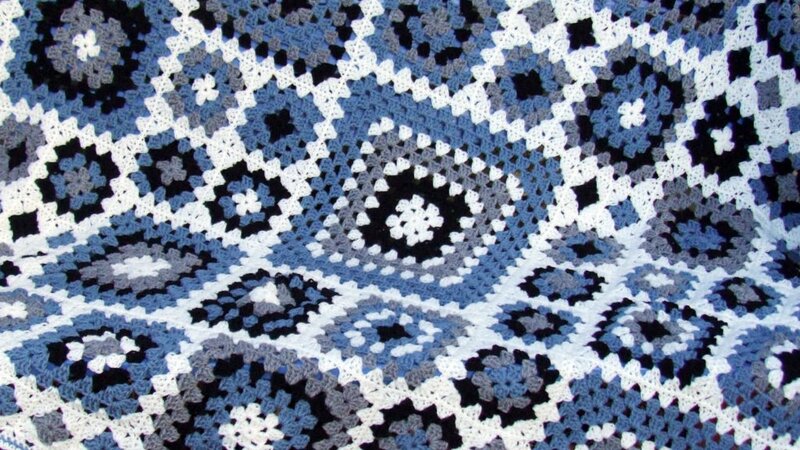 The blanket uses just 4 colours and 5 different sized granny squares. 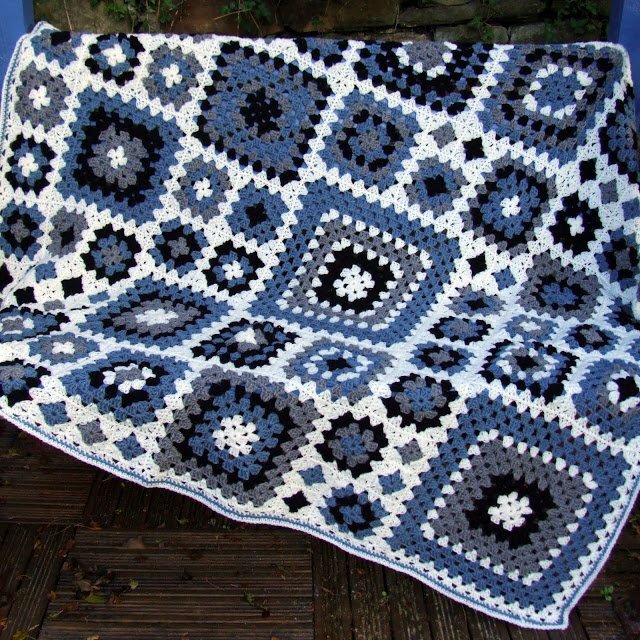 You can adapt my my Shabby Chic Granny Square Throw pattern by using greys, blues and black. The pattern is available on Ravelry in US and UK crochet terminology. The pattern is for a rectangular throw but you could adapt it to be square, like this one. I’m working on a proper pattern for this blanket which I hope to publish soon (within the next few weeks). Keep an eye on my blog! I really love this blanket. It's a beautiful design. I'm thinking of buying it! Hi, when will the pattern be available? I would like to make this blanket for relatives visiting this summer. I should have the pattern finished in the next couple of weeks. Keep posted as I’ll blog about it when the pattern is released.